The ever changing estuary is enchanting as the water levels rise and fall during the day. 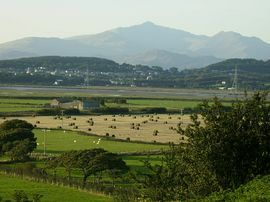 It is 4 miles from Harlech with lovely sandy beaches, and championship golf course, castle and theatre. Lovely walks from house up to mountains and lakes. Porthmadog is 5 miles with Ffestiniog and Welsh Highland Railway. You could visit both on the Cambrian coast railway which is ten minutes walk. The Llechwedd Slate Cavern is a working mine with tram tours - 15 minutes drive. 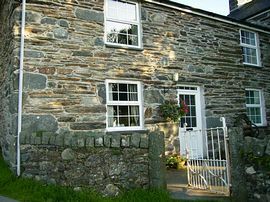 The cottage has two bedrooms one with one double and one single and one bedroom with 4ft bed. Hairdryer provided. Cot and stair gate provided. The bathroom has shower over bath. 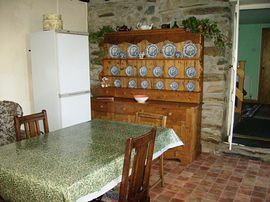 The kitchen has an oil fired Rayburn and washing machine, fridge freezer, microwave and toaster and radio/cassette. The lounge has TV with DVD. Lovely Cottage with beautiful views. 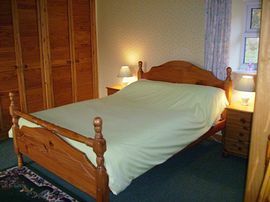 Great base for all attractions and lovely walks up to lakes. Small patio and shared garden. On the A496 between Maentwrog and Harlech, you can also get here by train. Weekly Rates: from £180.00 - £395.00. Short Breaks available: from £130.00. "Lovely cottage in perfect location, steam train very nostalgic, Shell Island beachcombers dream." "Great cottage - plenty of trains, beaches and castles."